IMER Group has over 50 years of experience in the sector of Construction Machinery, covering a comprehensive range of products to satisfy the requirements of modern construction. The group is organized into five company divisions (Construction Machinery, Mortar Spraying and Conveying Machinery, Powered Access, Construction Equipment and Concrete Machinery) and 6 production plants located in Italy, Turkey and France. The Group has more than 800 employees and a total surface area of more than 390,000 square meters. 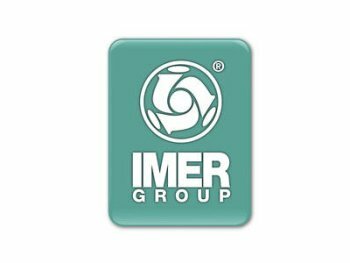 The IMER Group’s worldwide distribution network, through 9 commercial branches, covers individual geographical areas of competence in Europe, America, Africa, Middle and Far East.